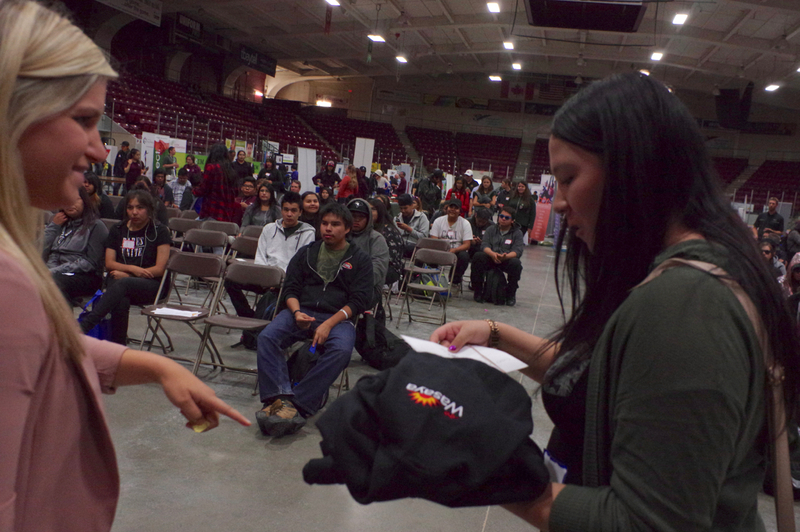 Sandy Lake’s Ashley McKay was presented with a Wasaya sweatshirt during Nishnawbe Aski Nation’s Sept. 12 Working Together for Student Success secondary school student orientation at Fort William Gardens in Thunder Bay. Photo by Rick Garrick. Nishnawbe Aski Nation’s Working Together for Student Success secondary school student orientation at Fort William Gardens in Thunder Bay was a hit with students, including two Nibinamik students. Hilary Oskineegish, a Grade 11 student at the Matawa Learning Centre, also enjoyed the free school supplies during the Sept. 12 orientation. NAN also held a secondary school student orientation on Sept. 1 at Pelican Falls First Nations High School in Sioux Lookout and has a third orientation scheduled for Timmins on Sept. 29. The Thunder Bay orientation featured information booths and representatives from many organizations and agencies in Thunder Bay. Meekis says KOSSS has experienced a “big drop” in student numbers this year. 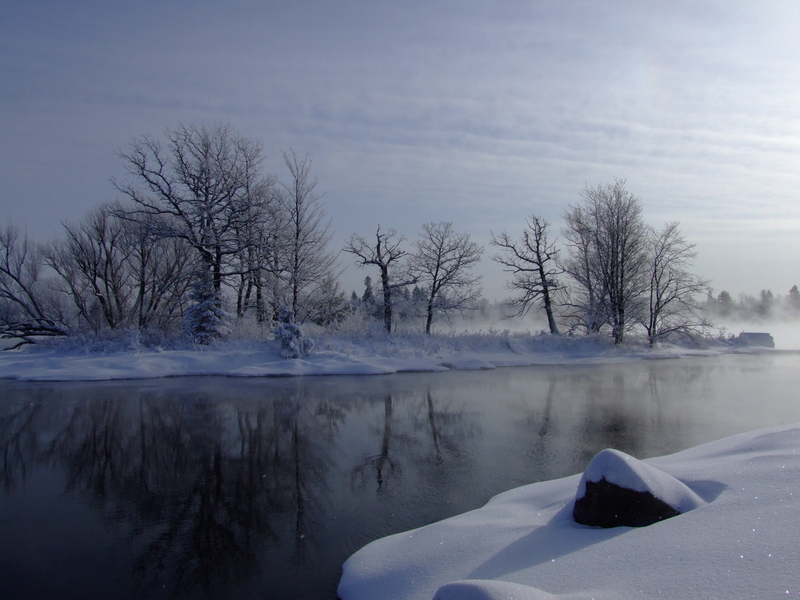 “It’s evident that our parents are a little bit wary of sending their kids here and it’s totally understandable,” Meekis says. The student orientation provided NAN students with an opportunity to interact with community leaders and to learn more about the services, activities and opportunities that are available in Thunder Bay. Sutherland says Lakehead University will be hosting the annual Fall Harvest on Sept. 16 at the Sweat Lodge Site just west of the C.J. Sanders Fieldhouse on Oliver Road. “We’re also looking for volunteers, so if you’re in high school, you could come out and volunteer and get some community hours,” Sutherland says. Stan Legarde, Respect Initiative intern with the City of Thunder Bay, says it was fun meeting with the students throughout the orientation. Post secondary students were previously welcomed to Thunder Bay during the fourth annual Maadaadizi Post Secondary Student Orientation on Sept. 9.